Cook the chicken pieces and mushrooms with little pepper powder and salt adding water. Mix cornflour with little water and add to the boiling soup stirring continuously. Check for salt and boil till it thickens. Looks so yummy... I love both chicken n mushrooms... 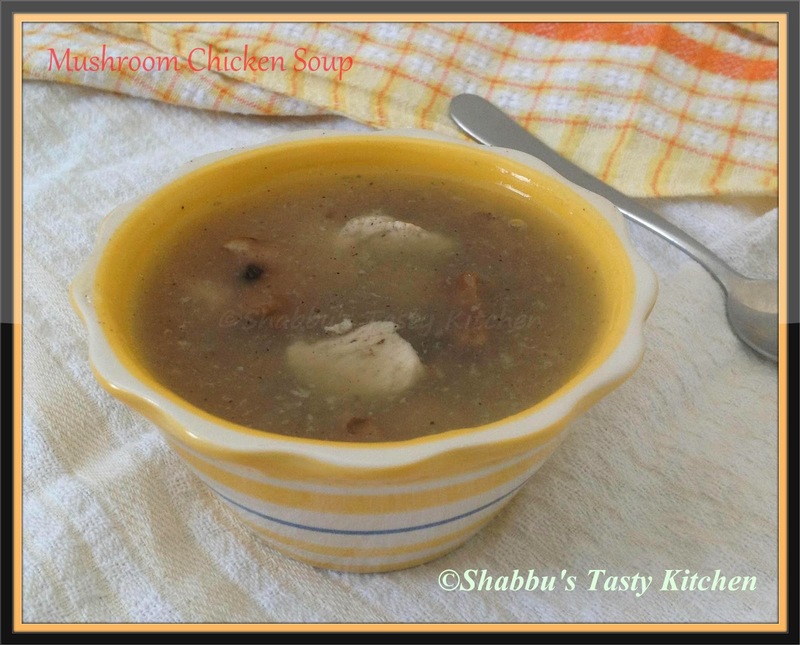 Together in a soup should be def awesome..
what a great combination of mushroom and chicken,yummy!